I don’t just get it! Why do good people die young? I have lost a number of friends who were the best people I know. I can also think of bad people who are living longer than expected. Where is the justice? Can anyone make sense of this upside down world? We feel robbed when good people die young. We feel we have been robbed by a robber. We see it as the greatest absurdity. We become hopeless and senseless. The pain and sorrow are burned into our memory for life. Knowing the fragility and brevity of life, Adesanmi worked round the clock believing in Jackie Robinson’s philosophy that “a life is not important except in the impact it has on others. Adesanmi made an impact on us the way atomic bomb does: He imploded before he exploded! His mind was never at rest, and his pen is connected to his mind by the best conductive narrative magnet we’ve ever seen. He developed a reputation for ruthlessness with the enemies of our poor people – Nigeria’s ruling ragamuffins. The three key stages of life for a proper and complete life cycle are: being young, being adult, and being old. But our best option is to live a quality life in the moment. A quality life includes struggle, happiness, wins, and losses. When someone good die young, we assumed wrongly that they died before their time and that we have unwritten promise of a long life. The truth is, “there is a time to be born, and a time to die.” As to when we are born and when we die, we don’t really have any say regarding our birth and death. 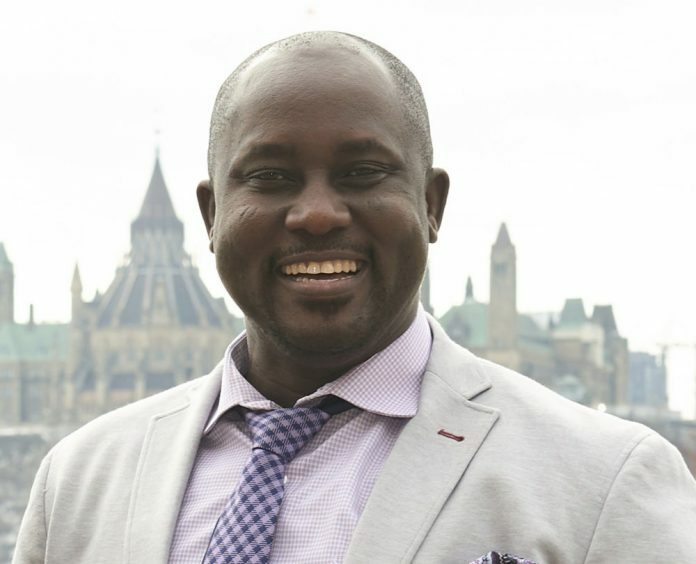 Pius Adesanmi was only 47 years old. It was said that he had confided in a friend that he would not live to be 50. It’s not unusual for rare breeds like him to predict their own death. They all saw it coming. President Abraham Lincoln recounted a dream he had to a friend, Ward Hill Lamon. He told Lamon he had heard mourners sobbing and saw a corpse lying on a raised platform in the East Room of the White House. He asked a nearby soldier who had died and was told, “The President – he was killed by an assassin.” Ten days after having the dream, he was shot dead by an assassin at the theater. Mark Twain was born the year that Halley’s Comet appeared. Twain predicted that he would die the next time Halley’s Comet appeared again. Twain died in 1910 the day after Halley’s Comet appeared in the night sky. Halley’s Comet appears every 76 years. Twain was 76 years old when it appeared! John Lennon sang about living on borrowed time. He recorded a song called “Borrowed Time,” in which he sings, “Living on borrowed time, without a thought for tomorrow.” Lennon was shot dead before the song even came out. It was later released posthumously. Bob Marley revealed details of his death to his friends. He told one of his friends that he would die in his 30s. Marley died at age 36. Dr. Martin Luther King Jr., said: “… I’ve seen the promised land! I may not get there with you, but I want you to know tonight that we as a people will get to the promised land. Dr. King was shot dead the second day. But we should celebrate Adesanmi’s brief stay with us with a heart of gratitude that he was given to us in the first place. We are blessed to have a wonderful man in our lives. The world is privileged and is made a better place to have such a “heavenly guest come down to earth.” Though Adesanmi was on a short visit, he gave us his all. He left his foot prints. He lives on.